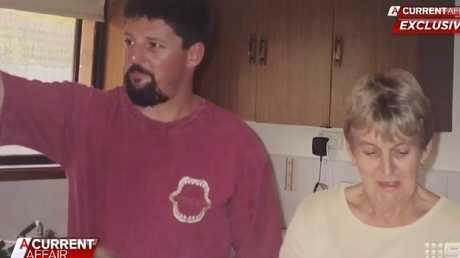 Scott Settree shot and killed his parents on December 3, 2014, in the living room of their own home in a country town, where Settree lived too. Source: A Current Affair. 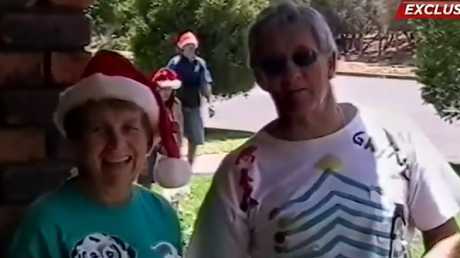 A MAN WHO shot his parents dead over a $40 bottle of wine is entitled to half their estate. 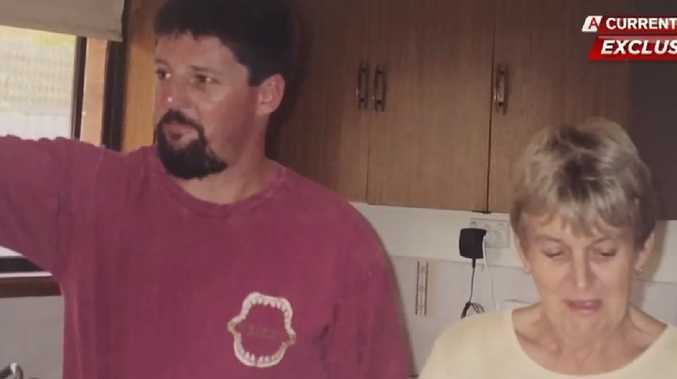 Scott Settree shot and killed his parents Ian and Margaret at point-blank range on December 3, 2014, in the living room of their own home, where Settree lived too. After having a minor dispute with his father over a bottle of wine, Settree went into his bedroom around 8pm, took a 12-gauge pump action shotgun, and shot his mother at close range in the neck, before shooting his father twice. The man had a history of being aggressive; however there was also evidence that his parents loved him and tried to get him medical help. In an exclusive and emotional interview with A Current Affair his sister Wendy said because her parents "tried to help him so much he detested them". "He wore them out at times, at times, it would get mum and dad down, but they never ever stopped loving him 'til that night," she said. At his murder trial two years ago, a court returned a special verdict of "not guilty by reason of mental illness". Settree had a long history even as a young child, of disturbing behaviour. ACA reported that he didn't have or want a job and at 46 years' old, he'd spend his days sleeping at his local pub each night - and it took a single bottle of wine to tip him over the edge. A court returned a special verdict of “not guilty by reason of mental illness” for Settree. Source: A Current Affair. 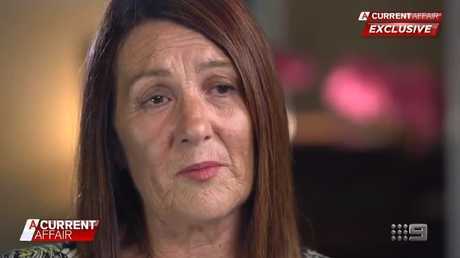 "Over a $40 bottle of wine … that little argument cost mum and dad their life," Wendy said. "I believe it was the last straw. They were just fed up. They worked for my brother with dishing out everything and dad asked him to replace it. "There was $40 lying beside dad when they found him and the bottle of wine. He told police that in his interview that he slammed the $40 down next to his dead body," Wendy said. She described her brother as a cold person. "It tells me he's a very nasty, I can't even call him a man." After killing his parents, Settree walked into a local hotel covered in blood and ordered a beer. 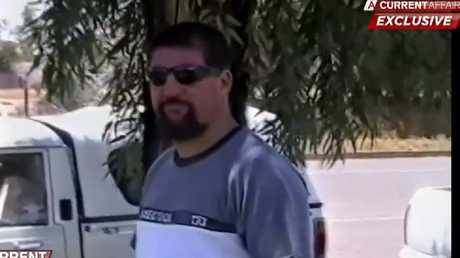 He told police he felt "relieved" after the shootings, the ABC reported. "It was like a nightmare," Wendy told ACA. "The room just went blurry. I just started hitting the floor 'not mum and dad, no, not mum and dad', it was horrible." "It's like your whole world and your heart's ripped out." A judge ruled Settree was not guilty of two counts of murder because he is mentally ill. Two psychiatrists declared him absolved of committing any crime. Margaret and Ian were killed by their only son. They have been remembered as loving parents. Source: A Current Affair. The court ordered him to be detained at a correctional facility as determined by the Mental Health Review Tribunal, until released by due process of law. Wendy never imagined that half of her parents' estate could still be inherited by her brother, despite him brutally killing them. "That's the only way I see it. For killing them he's been rewarded $250,000 they've worked for and it comes out of everything." "The law's got to change. It's not okay to kill," she told ACA. She said she would like to see mentally ill offenders held responsible for their crimes. 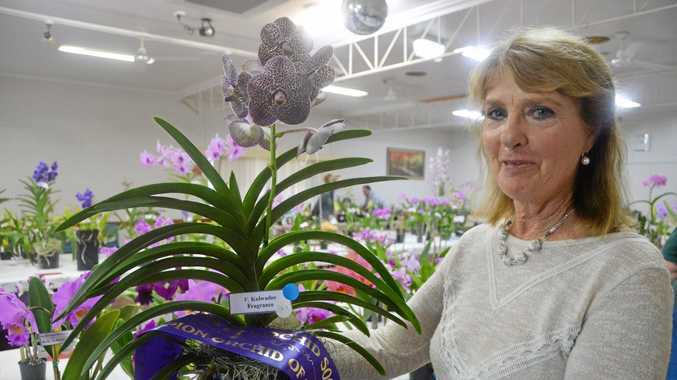 In a petition Wendy recently created, she says she would like the wording changed to "Guilty to Murder by reason of Mental Illness" and a criminal offence recorded. Wendy, sister of Scott Settree wants to see mentally ill offenders held responsible for their crimes. Source: A Current Affair. "Due to this sentencing he is entitled to 50 per cent of mum and dad's estate. I have to fight this in the Supreme Court. This is so wrong and so unfair. One should not be able to kill and then inherit," Wendy explained in the petition, which has already has got more than 13,500 signatures. In a statement from NSW Attorney-General Mark Speakman it states that the present verdict "Not guilty by reason of mental illness" recognises a court finding that the defendant lacks capacity to understand what they've done is wrong. "However, this verdict can often distress victims and their families because the term 'not guilty' can suggest the defendant did not do the act," Mr Speakman said. "The NSW Government is working with stakeholders to change the verdict to clearly indicate the defendant engaged in the conduct in question, although, because of their mental illness or cognitive impairment, they cannot be held criminally responsible. "I anticipate this work will be completed in the new year."